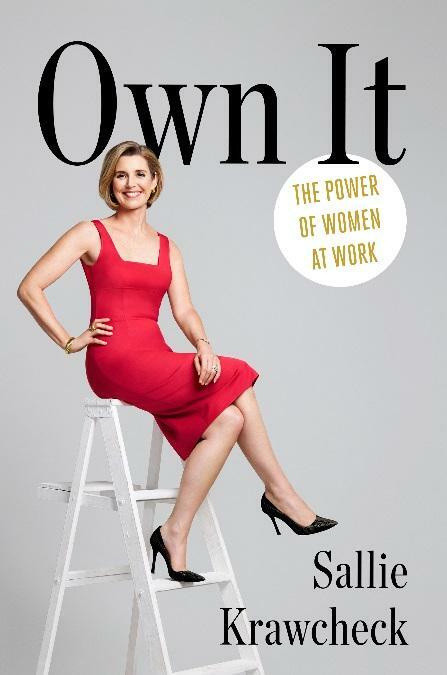 Sallie Krawcheck, cofounder and CEO of Ellevest, an innovative digital investment platform designed to help women reach their financial goals, joined Janeane Monday 1/30/17 to talk about her book "Own It: The Power of Women at Work"
In her first book, OWN IT: The Power of Women at Work, former Wall Street powerhouse-turned-entrepreneur Sallie Krawcheck invites readers to throw out stale (read: male) definitions of what success looks like and embrace the qualities that make them amazing collaborators, extraordinary leaders, and invaluable assets to their companies. Before launching Ellevest, a digital investment platform for women, Krawcheck served as CEO of Smith Barney, CEO of Merrill Lynch Wealth Management, and CFO of Citigroup. In OWN IT, she draws on her unique experiences (and the battle scars she has to prove them) from the highest levels of business and entrepreneurship to offer a fresh and contrarian outlook on navigating today’s business landscape, namely: Being a woman in the business world today isn’t a liability - it’s an asset. Success for professional women will no longer be about trying to compete at the men’s version of the game, Krawcheck says. And it will no longer be about contorting to men’s expectations of how powerful people behave. Instead, it’s about embracing and investing in our authentic selves as women - and bringing those selves proudly and unapologetically, to work. When we do this, Krawcheck says, we gain the power to advance in our careers in more natural ways. We gain the power to initiate courageous conversations in the workplace. We gain the power to forge non-traditional career paths; to leave companies that don’t respect our worth, and instead, go start our own. And we gain the power to invest our economic muscle in making our lives, and the world, better. There are many reasons to be optimistic about the future, because the business world is changing fast –driven largely by technology - and it’s changing in ways that play to women’s strengths. This gives us more power and opportunities than ever…and even more than we yet realize. This change is real, and it’s coming fast. It’s time to own it. 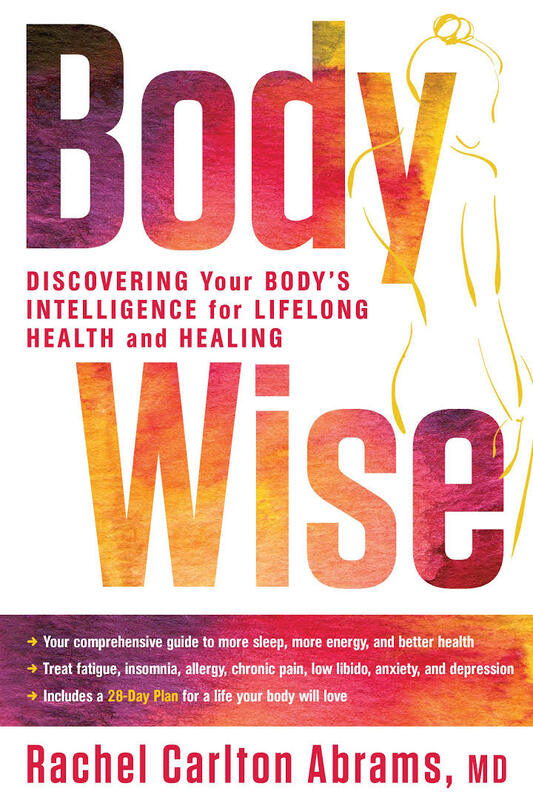 If you missed today's show with Dr. Ronald Epstein, listen to our conversation here. As a third-year Harvard Medical student, Epstein watched an experienced surgeon fail to notice his 18-year-old patient’s kidney turning an ominous shade of blue during surgery. In that same rotation, Epstein was awestruck by another surgeon’s ability to slow down and shift from autopilot to deliberate precision during a complicated procedure. The difference between these two doctors left a lasting impression on Epstein and set the stage for his life’s work—to identify the qualities and habits that distinguish masterful doctors from those who are merely competent. The secret, he learned, was mindfulness. When doctors approach care mindfully, they are open to possibility: less likely to let diagnoses define their patients, and more likely to consider alternate perspectives and avoid fatal mistakes. They are more likely to practice with compassion—attending to their patients’ needs and emotions—and self-compassion—attending to their own emotions to avoid burning out. Approaching medicine—and all work—mindfully both requires and builds grit and resilience. In today’s commodified healthcare system, with physician burnout at an all-time high, Epstein’s ATTENDING offers a model for doctors, patients, and their families to approach medical decisions thoughtfully and collaborate to achieve the best that medical care can offer. 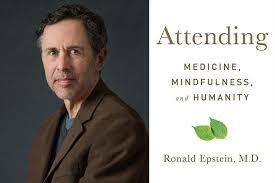 Ronald Epstein is a Professor of Family Medicine, Psychiatry, and Oncology at the University of Rochester School of Medicine, where he directs Mindful Practice programs, the Center for Communication and Disparities Research, and the Dean’s Teaching Fellowship program. His landmark article, “Mindful Practice,” published in the Journal of the American Medical Association in 1999, has been widely cited and is required reading at over 1/3 of medical schools in the USA. His current research is supported by $7 million in grants from the NIH. He is a two-time Fulbright scholar, has over 250 publications, and has given over 300 presentations at over 100 medical schools, health systems and conferences throughout the world. Epstein has been named one of America’s Best Doctors since 1998 by US News and World Report and has received distinguished service and humanism awards from the University of Rochester, New York State Academy of Medicine, and the American Academy of Family Physicians. 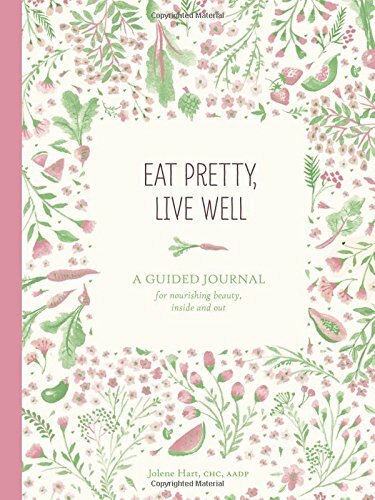 JOLENE HART is a certified health coach, former magazine beauty editor, and the author of Eat Pretty and Eat Pretty, Live Well. Jolene spent years searching for products and treatments to solve her own beauty issues before developing her inside-out approach to beauty. 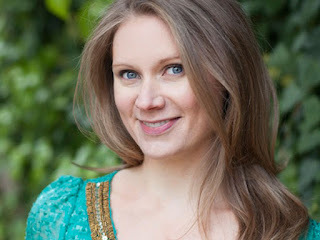 She founded her health coaching practice, Beauty Is Wellness, to give women of all ages the tools to create their own unique, healthy lifestyle of beauty. 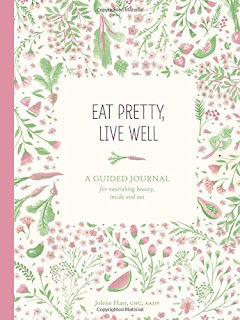 Breakout hit Eat Pretty continues to win over audiences of all ages with its groundbreaking and user-friendly exploration of beauty nutrition, and companion journal Eat Pretty, Live Well is an inspiring and innovative tool to help put beauty nutrition know-how into practice. To compliment the duo, Jolene Hart’s hotly anticipated new book Eat Pretty Every Day welcomes existing fans and newcomers alike, sharing 365 bite-size daily readings that make it easy to weave beauty nutrition into everyday life. 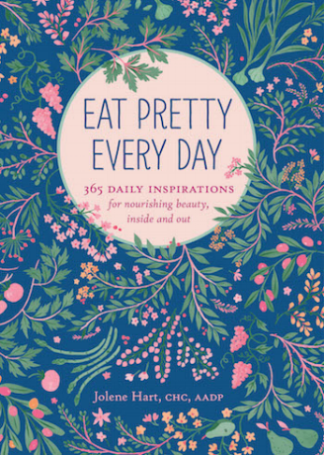 motivating goals and challenges, self-care exercises and uplifting "mealtime mantras"
Providing the dedicated support of a personal wellness coach at a fraction of the cost, Eat Pretty Every Day is for women of all ages who want to learn the secrets to living well. Filmmaker Shanra J. Kehl joined Janeane Bernstein 9am PST 1/30/17 on KUCI 88.8fm to talk about her Award-Winning Romantic Comedy "The Morning After"
If you missed today's show, listen to our conversation here! Filmmaker Shanra J. Kehl is riding high on her directorial debut “The Morning After” that earned her the Spirit of Independents Award at the Fort Lauderdale International Film Festival earlier this year. 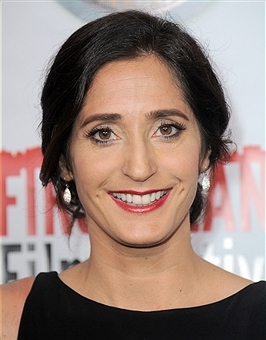 Since it’s debut in 2015, “The Morning After” has picked up awards at over a dozen festivals, including Tenerife International Film Festival (Best Film and Best Original Screenplay), Cape Fear International Film Festival (Best Screenplay and Best Female Director), Mexico International Film Festival (Best Romantic Comedy), and the Best Feature Producer award at last year’s LA Femme International Film Festival. It was also screened at Cannes this year at the Palais and Gray Screens to standing room only crowds. Earlier this year, Shanra cut a sales deal with Princ Films who sold the film to the German filmgoing audiences and HBO Europe. It was also picked up by HBO East and is currently available on Amazon Prime, Apple TV and Fandango NOW in the US. After Shanra graduated from Columbia College Chicago with a B.A. in Cinematography, she pursued a career shooting independent films, TV shows and documentaries. 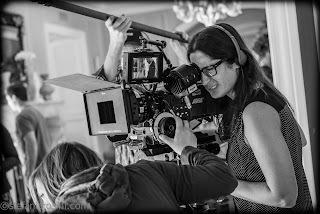 But after ten years behind the camera, she realized she wanted to create storylines as much as she wanted to shoot them. Her first short was ”Manscaping”, a mockumentary that was ultimately picked up for distribution by Shorts International. “The Morning After” is an homage to the classic rom-coms that celebrate love, loss and regret, in a series of eight vignettes about that awkward moment when you wake up next to someone the next morning and wonder do you stay or do you go? From a youth hostel roll-in-the-hay to a saucy menage-a-trois, all the characters in “The Morning After” discover that love - good or bad - can profoundly change your life forever! “The Morning After” is a great film to help shake off any holiday blues! Dr. Harriet Lerner, listen to our conversation here. 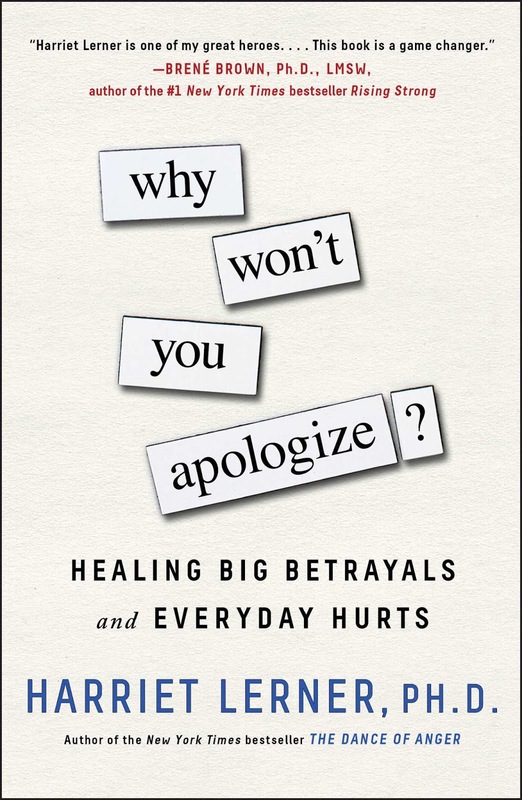 The five best ways to ruin an apology—and how to decode apologizes that only deepen the original injury. 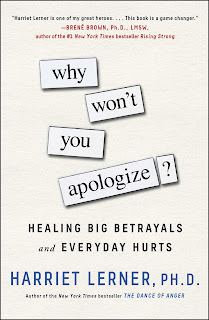 What drives the non-apologizer--and the female over-apologizer? How can the hurt party get through to the defensive non-apologizer? What is necessary to set things right when a serious betrayal (abuse, neglect or infidelity) has occurred in the past? Why people who do the worst things are the least able to take responsibility and feel remorse. How to get past life-draining anger and resentment when we’ll never get the apology or validation we deserve? Why forgiving too quickly—or at all—can hurt you. The one simple sentence that will teach children to apologize. Harriet Lerner, PhD is one of our nation’s most loved and respected relationship experts. Renowned for her work on the psychology of women and family relationships, she served as a staff psychologist at the Menninger Clinic for several decades. A distinguished lecturer, consultant, and psychotherapist, she is the author of numerous scholarly articles and popular books, including the New York Times bestseller The Dance of Anger. She and her husband live in Lawrence, Kansas and have two grown sons. The art of hula is thriving in cities all over the country and the world, but it is not always understood. InThe Natives Are Restless, journalist Constance Hale presents the largely untold story of the dance tradition, using the twin keyholes of Kumu Patrick Makuakane (a Hawai‘i-born, San Francisco–based hula master), and his 350-person arts organization (Na Lei Hulu i ka Wekiu). In the background, she weaves the poignant story of an ancient people and the resilience of their culture. In the foreground, she tells the story of an electrifying new form of hula that has emerged from a restless generation of artists like Makuakane. The crisp narrative is complemented by full-color photographs and illustrations. 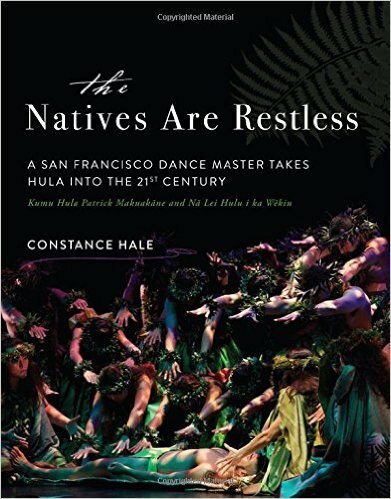 Her love for hula, and her history with the dance, inform Hale’s prose on every level. She makes Makuakane’s exuberant, fierce, sensuous dance style come alive on the page. with Edward Viljoen, listen to our conversation here. 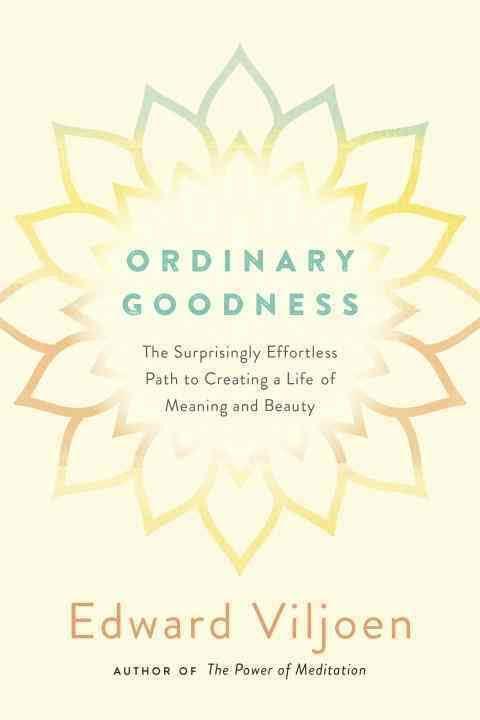 ORDINARY GOODNESS: The Surprisingly Effortless Path to Creating a Life of Meaning and Beauty (A TarcherPerigee paperback - January 3, 2017). Great start to today's show featuring Marcus Shingles. If you missed our conversation, listen here! Marcus Shingles is the Chief Executive Officer of the XPRIZE Foundation, a non-profit founded by its Executive Chairman, Dr. Peter Diamandis. XPRIZE is the leading expert in designing and implementing innovative models that utilize gamification, crowd-sourcing, incentive competitions, and exponential technologies to solve the world’s grandest social challenges. 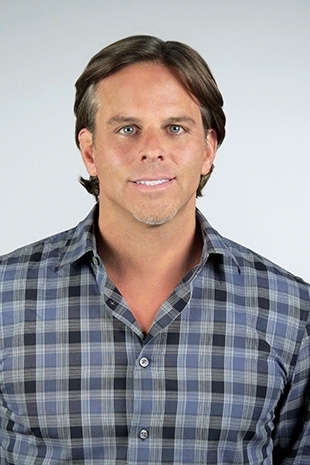 Prior to XPRIZE, Marcus was a Partner at Deloitte Consulting LLP and leader of Deloitte Consulting’s Innovation Group where he worked with corporate executive teams to better understand and plan for the opportunities and threats associated with disruptive innovation driven by “exponentials” (e.g., 3d printing, block-chain, crowd-sourcing, AI) resulting from the accelerated pace of discovery, invention, and technology. At Deloitte, Marcus also championed the strategic global partnership with Singularity University, and helped establish and lead the Innovation Partnership Program with XPRIZE and SU. We believe in the power of competition. That it’s part of our DNA. Of humanity itself. That tapping into that indomitable spirit of competition brings about breakthroughs and solutions that once seemed unimaginable. Impossible. We believe that you get what you incentivize. And that without a target, you will miss it every time. Rather than throw money at a problem, we incentivize the solution and challenge the world to solve it. We believe that challenges must be audacious, but achievable, tied to objective, measurable goals. And understandable by all. We believe that solutions can come from anyone, anywhere and that some of the greatest minds of our time remain untapped, ready to be engaged by a world that is in desperate need of help. Solutions. Change. And radical breakthroughs for the benefit of humanity. Call us crazy, but we believe.
" By not disappearing, but by thriving, that's how you have the last word." 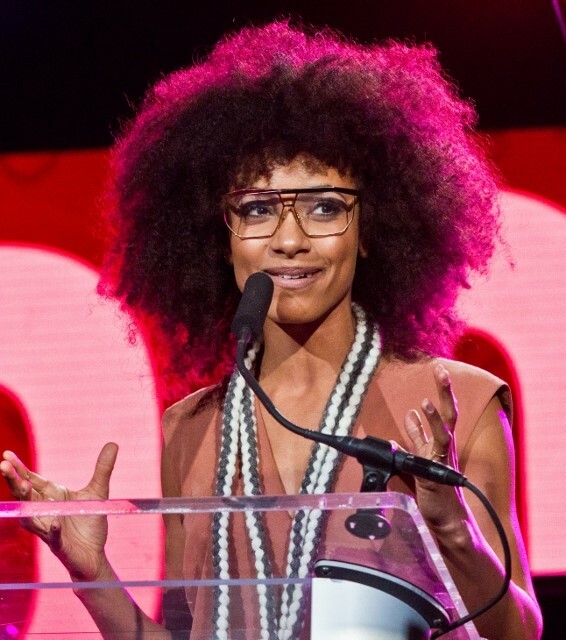 The She Rocks Awards delivered another stellar event on January 20th at the Hilton Anaheim Hotel during the NAMM Show, shining a spotlight on female role models in the industry and celebrating noted women from all walks of the industry. The stellar evening was live streamed on Parade magazine. The event kicked off with local talent Brandy Robinson, winner of the #SaveAGuitar contest sponsored by Breedlove. Her smoky, lush vocals and guitar stylings warmed the crowd up for what proved to be a memorable rocking evening. The fun moved into high gear with a raucous, crowd-stomping performance by Jenna Paone, She Rocks founder Laura B. Whitmore and the killer house band, Rock Sugah, titled “I Like It Loud”! The original song by Paone and Whitmore, with guitar solos by Gretchen Menn and Nita Strauss, was a stirring declaration that girls can rock just as loud and proud as anyone on the planet. Two Co-Hosts for the event, FOX KTTV anchor Christine Devine and Daisy Rock Girl Guitars CEO Tish Ciravolo, helped Whitmore with introductions and a well-rounded program that included performances by Kat Dyson, Victoria Renee, all-female tribute band Lez Zeppelin, Yasi Hofer, ingénue sibling guitarists The Command Sisters and the house band led by Divinity Roxx. The highlight of the evening was the booming finale, featuring the great Lita Ford performing her hit “Kiss Me Deadly” backed by seven other female guitarists from She Rocks Vol. 1. The event is produced by the Women’s International Music Network, an organization whose mission is to advocate for women in the music industry and to shine a spotlight on female role models. In addition, there is an accompanying silent auction live through January 31, 2017, which features guitars, music, audio gear, jewelry, spa products and much more. Anyone can bid at http://www.32auctions.com/sherocksawards Proceeds help them to benefit Soundgirls.org, an organization that helps train girls for careers in audio. 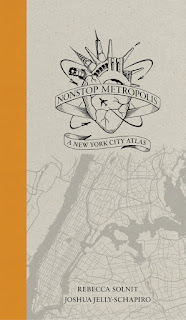 Joshua Jelly-Schapiro joined Janeane Bernstein Monday on KUCI 88.9fm to talk about his book, "Non Stop Metropolis." "...the book...contains many beautiful and not-so-beautiful images that document New York’s past and the present, and make tangible the social and cultural diversity of this extraordinary place." 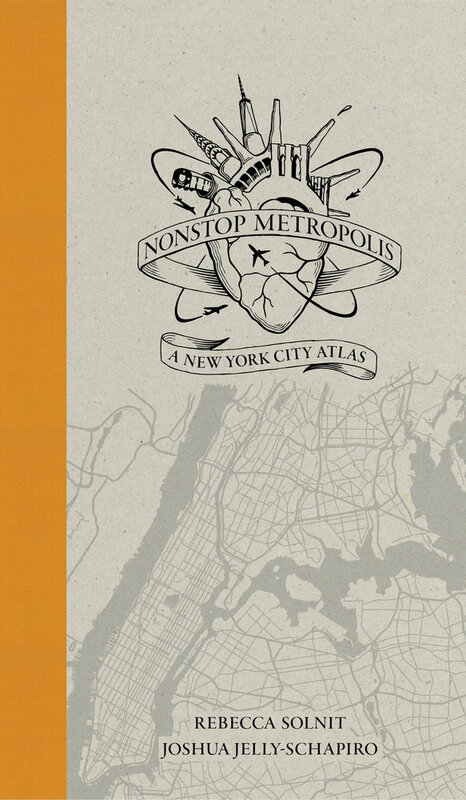 "26 maps of New York that prioritize bachata over Broadway, pho over pizza." Sam Weinman, Author and Digital Editor of GolfDigest.com, joined host Janeane Bernstein on KUCI 88.9fm Monday 1/16/17 to talk about his new book "Win at Losing." "Because we live in a country where our most admired citizens are labeled "winners," we often fail to appreciate the tremendous value of defeat. Well, thank goodness for Sam Weinman, whose ode to dropping the ball, missing the shot, failing to rise to the occasion is a beautiful—and important—reminder that second place often trumps first. A blissful read." Most people are driven to win. Whether it is in competitive sports, political or artistic endeavors, academic prestige, or any number of pursuits requiring talent and persistence. The desire to win has driven humanity’s most talented individuals to produce unfathomable achievements and to excel beyond their highest expectations. However, this fixation on winning can also crush the human spirit. Like many parents, author and award-winning sports journalist Sam Weinman noticed how this need to win was preventing his sons from coping with inevitable losses (such as a lower grade on a test or a botched tennis match). Wanting to give his sons perspective, and having witnessed many greats in the world of sports weather crushing defeats, Weinman set out to discover how some of the most celebrated public figures were able to bounce back after humiliating, often epic losses. 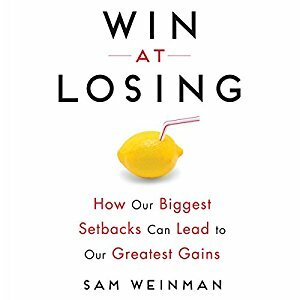 In WIN AT LOSING: How Our Biggest Setbacks Can Lead to Our Greatest Gains (A TarcherPerigee Hardcover; on sale December 20, 2016), Weinman interviews pro athletes, business executives, politicians, and Hollywood stars, and consults leading psychologists and coaches, in order to understand the essential life skill of “learning to lose.” It turns out, being a good loser is exactly what we should aspire to be: resilient, objective, and persistent. 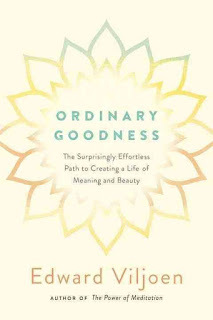 With inspirational and deeply personal stories from the likes of Emmy-award winning actress Susan Lucci, pro golfer Greg Norman, and presidential nominee Michael Dukakis, WIN AT LOSING offers a unique and much-needed take on the upside of losing, and why it is essential to enjoying a truly successful life. ANAHEIM, California, January 11, 2017 –– The Women’s International Music Network (the WiMN) proudly announces iconic singer Ronnie Spector as a 2017 She Rocks Award recipient. Her award is sponsored by the John Lennon Educational Tour Bus, in honor of her influence on multiple generations of aspiring musicians. Recognizing women who stand out as role models in the music industry, the live awards event takes place on January 20, 2017, at 7:00 p.m. in the Anaheim Hilton Hotel during the NAMM Show. This year’s event will be live streamed at Parade.com/SheRocks. Spector, who is best known as the founder and lead singer of the pioneering female vocal group The Ronettes in the 1960s, joins the John Lennon Educational Tour Bus at NAMM to help celebrate and launch the non-profits' 20th Anniversary as the featured performer at their annual Imagine Party on January 21st. The Ronettes' chart-topping, timeless hits include “Walking in the Rain,” “The Best Part of Breaking Up,” and the number one hit, “Be My Baby.” As a solo artist, she collaborated with diverse artists, and in 1986 teamed up with Eddie Money on the GRAMMY® Award-nominated duet, “Take Me Home Tonight.” In 2007, she and The Ronettes were inducted into the Rock & Roll Hall of Fame. For more information about Ronnie Spector, visit www.ronniespector.com. 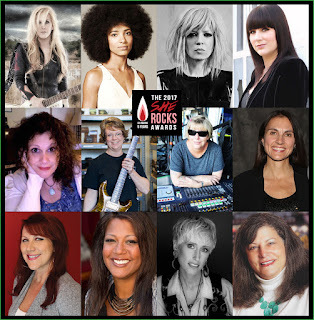 Laura B. Whitmore, founder of the WiMN and co-producer of the She Rocks Awards, enthuses, “It’s a privilege to be able to recognize someone who has been influencing and inspiring female musicians since the early days of rock and roll. We are very happy to be honoring Ronnie Spector." 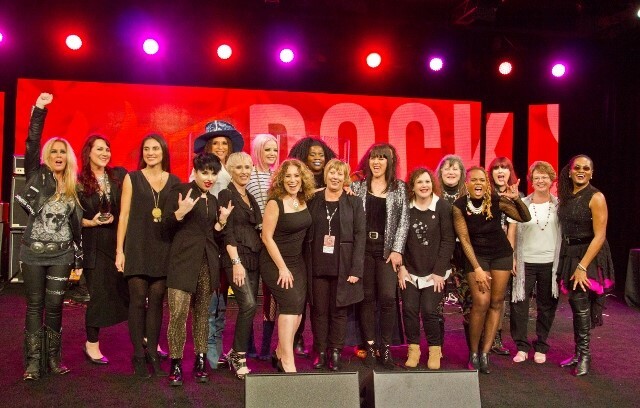 The She Rocks Awards pays tribute to women who display leadership and stand out within the music industry, and has become a standard at the NAMM Show. This year’s award recipients include female industry leaders such as Lita Ford, Shirley Manson, Lisa Foxx, and many more. The event brings together industry professionals, music icons, artists, fans and media to celebrate women in music. Celebrating its 5th anniversary in 2017, the She Rocks Awards will take place on Friday, January 20, 2017 at the Anaheim Hilton Hotel at 7:00 p.m. A NAMM badge is not required to attend the She Rocks Awards, and yes, men are welcome, too! Find out more and purchase tickets at www.sherocksawards.com. The 2017 She Rocks Awards is sponsored by Neumann, Gretsch, Seymour Duncan, Avid, PRS Guitars, Roland, Boss, #SaveAGuitar, Breedlove, Marshall Amplification, The John Lennon Educational Tour Bus, Zildjian, Guitar Center, MAC Cosmetics, Casio, 108 Rock Star Guitars, Sabian, Linear Integrated Systems, Schecter Guitars, Gator Cases, Berklee College of Music, Martin Guitar, Fishman, The Music People, Tech 21, Korg, Lee Oskar Harmonicas, Dean Markley, KMC Music, LAWIM, Music Inc., Music & Sound Retailer, Music-News.com, Premier Guitar, Guitar World, Guitar Player, Keyboard, Bass Player, Electronic Musician, Parade magazine, and more. Find out more and purchase tickets at www.sherocksawards.com. Founded in 2012, the Women’s International Music Network unites women who work within all facets of the music and audio industries. With theWiMN.com as its hub, the WiMN provides a community for women within the industry while enriching their careers and musical experiences through networking and sharing. 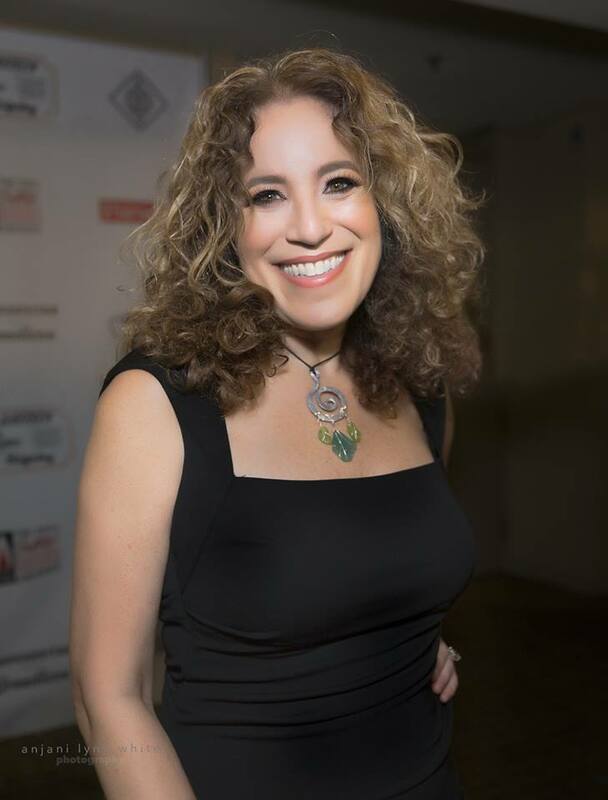 The Women’s International Music Network produces events such as the annual Women's Music Summit, the WiMN She Rocks Showcases, and the She Rocks Awards, and is founded by music industry veteran Laura B. Whitmore. For more information, visit www.thewimn.com. 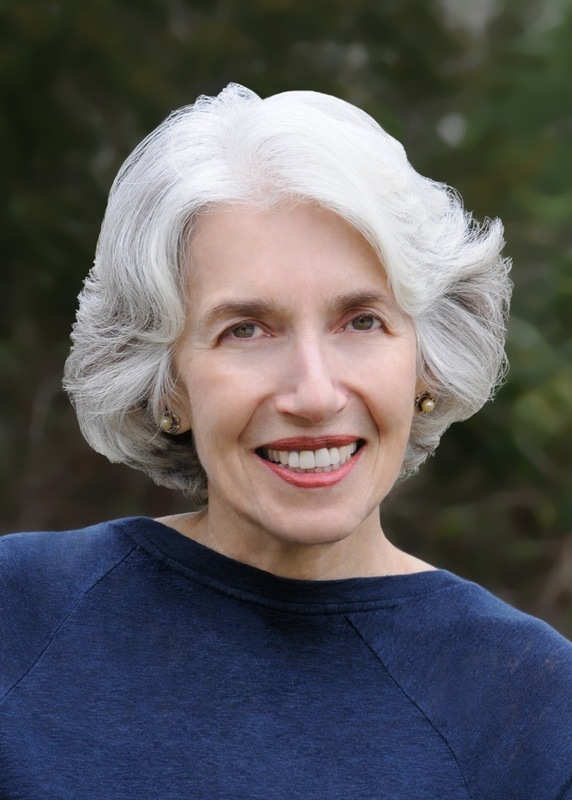 Dava Sobel, one of the most prominent, critically acclaimed, bestselling narrative nonfiction writers, joined host Janeane Bernstein on KUCI 88.9fm Monday at 9:30am PST. Dava Sobel talked about her latest work,THE GLASS UNIVERSE: How the Ladies of the Harvard Observatory Took the Measure of the Stars. Did you miss Dava Sobel on today's show? Listen to our conversation here! Dava Sobel is one of the most prominent, critically acclaimed, bestselling narrative nonfiction writers working today. A former science reporter for the New York Times, she is the recipient of the National Science Board's prestigious Individual Public Service Award, the Boston Museum of Science's Bradford Washburn Award, and many others. She has served as the editor for The Best American Science Writing, and even had an asteroid (#30935) named for her. A long-time contributor to The New Yorker, Audubon, Discover, Life, Omni, and Harvard Magazine. Sobel is the author of five books, including the New York Times bestsellers Longitude, Galileo's Daughter, and The Planets. 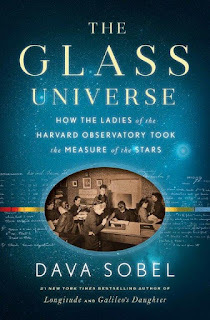 Viking is thrilled to publish Dava Sobel’s THE GLASS UNIVERSE: How the Ladies of the Harvard Observatory Took the Measure of the Stars this December. An important, chapter in the history of science, THE GLASS UNIVERSE is a great American story of discovery and progress that is only now being brought to light. In the mid-nineteenth century, the Harvard College Observatory began employing a few women as calculators, or “human computers,” to interpret the observations their male counterparts made via telescope each night. As photography transformed the practice of astronomy, the women turned to studying the stars captured nightly on glass photographic plates. The “glass universe” of half a million plates that Harvard amassed in this period enabled the ladies to make extraordinary discoveries that attracted worldwide acclaim. They developed a classification system for the stars that gained international acceptance and is still in regular use. They also divined the surprising truth about the chemical composition of the heavens and helped establish a scale for measuring distances across space. Written in Dava Sobel's lucid prose and enriched by excerpts from letters, diaries, and memoirs, THE GLASS UNIVERSE (Viking; on sale: December 6, 2016; $30.00; 9780670016952) tells the riveting story of a group of remarkable women who expanded our knowledge of the universe, and whose discoveries are still being used today. The book opens in 1882, at a New York dinner party for forty members of the National Academy of Sciences hosted by Mrs. Anna Draper, who made great contributions to the practice of astrophotography, and ends with Dr. Cecelia Helena Payne, who became the first female Professor of Astronomy at Harvard, and the first woman promoted to the rank of tenured professor in 1956. THE GLASS UNIVERSE is not only the story of the Harvard Observatory's female astronomers, who were among the first women to become members of international scientific bodies, and won numerous awards and fellowships for their work, it is also the fascinating story of the half a million glass plates they studied, now being digitized for ongoing research. Readers of narrative nonfiction about women and science like Hidden Figures and The Girls of Atomic City; popular histories of ideas like The Age of Wonder and The Metaphysical Club; bestselling science and tech narratives by writers like Neil deGrasse Tyson; and fans of Dava’s own bestselling books are sure to enjoy THE GLASS UNIVERSE. Actress and Singer Rachele Royale joined host Janeane Bernstein Monday at 9:15am LIVE on KUCI 88.9fm! Great show today featuring actress and singer Rachele Royale! If you missed our conversation, listen here. 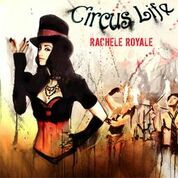 Rachele Royale, is a Los Angeles based recording artist from the Bay Area, signed to the record label CPG Music. Her first full length album was produced by legendary rock producer Mutt Lange (Lady Gaga, AC/DC, Shania Twain, Def Leppard, Maroon 5) along with Swedish producer Tony Nilsson. Her single Unscrew U, won the My Music Challenge on 104.3FM with Mario Lopez. Royale's pop single, Tap Dat, was featured on the VH1 show Hit The Floor and was played at numerous NBA halftime shows, while Different Now (produced by Massive Muzik) and it's music video (filmed/directed by award winning director TJ Scott, Dennys Ilic, Bert Kish) is the showcase for Leica Camera's first "motion" music video. Rachele Royale is currently in studio recording her new album with award winning producers Sir Charles Wilson (Rihanna), Jacob Bunton (Jennifer Lopez (J.Lo), Adler) and Jens Gad (Enigma). She is also collaborating closely with Swedish writer/producer Andreas Carlsson who has written hit songs for many of today's top recording stars including Britney Spears, Katy Perry, Bon Jovi, Ricky Martin and Carrie Underwood; and Jason Young, creative director/choreographer for Madonna, Jennifer Lopez (J Lo), Britney Spears, who joined Rachele's team in preparation for her live stage show and tour. Early 2017 will be busy for Royale. On January 13th, 2017 her first single of the year Circus Life will be released along with a visually epic, feature-film styled music video directed by multi-award winning director TJ Scott (Gotham, Stephen King's The Mist, Bates Motel, Queen of the South, Dark Matter, Strain, Black Sails, Spartacus). Then, a week later, on January 18th, 2017 Royale will be seen on Antoine Fuqua's highly anticipated television mini-series special, ICE, performing Diamond Girl which she wrote (produced by Jacob Bunton) for the series, which stars Donald Sutherland. The single and music video will be released the same day. Royale will release and tour her new album Summer 2017. Songwriter, Music Industry Veteran, Owner of Mad Sun Marketing, and Founder of She Rocks Awards Laura B Whitmore joined host Janeane Bernstein Monday 1/9/17 on KUCI 88.9fm! Laura B Whitmore is a lifelong songwriter and music industry veteran. 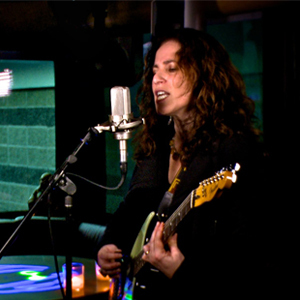 Whether she’s operating her music marketing and PR business, blogging for Guitar World, organizing a mass group-guitar-jam attended by hundreds at Union Square, or working with the WiMN, an organization she founded which advocates for women in the music industry – there’s always been one constant in Whitmore’s life; songwriting. Growing up in Massachusetts, Whitmore wrote her first song with her sister at age 7. “It was the theme of our fake weather show. We called it ‘Lollipops Hang From the Trees,’” Whitmore remembers. At age 13, after being exposed to Carly Simon and Carole King, Whitmore was inspired to pick up the guitar. “I was always making up songs and singing. 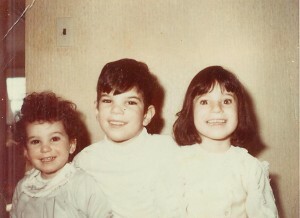 My brother would constantly tell me to shut up,” she laughs. Taking on a career in the music business, Whitmore has worked in almost every facet of the industry. Now living in the Boston Area with her husband and two children, Whitmore frequents local open mics and hosts house concerts on a regular basis. In 2013 she launched her single “Have A Little Faith,” produced by Collective Soul guitarist Joel Kosche and mixed by veteran engineer Shawn Grove. Whitmore shares her inspiration. “It was one of those songs that just wrote itself,” she shares. “I think it sums up my philosophy on life. Even when things are terrible, you have to believe that it’s going to be okay. Otherwise, what’s the point? !” The acoustic guitar track is from the original demo and was performed by Whitmore’s live performance partner, Charles Besocke. 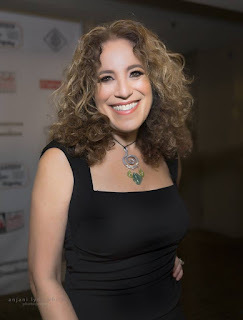 Whitmore wrote many of the original songs she performs while taking Berkleemusic online songwriting courses and later a co-writing class with SongTown. She continues to co-write with a variety of partners and is working on a new project to be released by the end of 2016. When she wears her business hat, Whitmore is the owner of Mad Sun Marketing, a boutique marketing and PR agency that focuses on the music and audio. She is the producer of the She Rocks Awards and the Women’s Music Summit, and the founder of the Women’s International Music Network. Whitmore’s gear list includes a Taylor 314ce acoustic, Fender ’72 Pawnshop electric, and 65amps London Pro amplifier. Her go to mic for recording is an Audio Technica AT4050, but she also digs the Sterling Audio ST69 Tube Microphone. She regularly records with ProTools out of her home, so you might here a dog collar jingle or the pitter patter of large teenager feet in the background if you listen closely! The 2017 She Rocks Awards! This year marks the 5th Anniversary of the She Rocks Awards! The She Rocks Awards pay tribute to women who display leadership and stand out within the music industry. 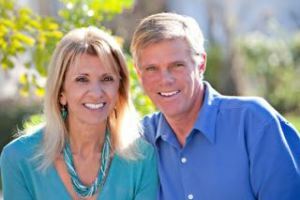 Find out more about our honorees here. This year's show will feature co-hosts Christine Devine of KTTV FOX 11 and Tish Ciravolo of Daisy Rock Girl Guitars. Previous award recipients include female industry leaders Chaka Khan, Karmin, Raining Jane, Sheila E, Colbie Caillat, Orianthi, The Bangles, Dinah Gretsch, Janie L. Hendrix, Mary Peavey and many more. J Edler joined me 1/2/17 to talk about her chronic migraines and how she now lives a pain-free life. Her story is relatable and inspiring! If you missed J Edler on today's show, listen here! J Edler had worked in Human Resources for years but chronic migraines made it impossible for her to continue in a corporate environment. She started a new career in Real Estate so she could work from home and have more flexibility. Migraines continued. Then she discovered power of essential oils. Her story is inspiring and relatable. Over the years, I have dealt with occasional head tension. I had been looking for natural alternatives to provide relief, as well as something natural that could support my health. I tried a few things, but nothing seemed to really soothe this tension. In October 2014, we were introduced to dōTERRA CPTG Essential Oils – and primarily Deep Blue Soothing Blend. This blend has Wintergreen, Camphor, Peppermint, Blue Tansy, German Chamomile, Helichrysum, and Osmanthus essential oils. One night, while I was dealing with some minor head tension, I decided to try this blend-what have I got to lose? I rubbed it all over my back, should, neck, back of my scull and got back in bed. Imagine my surprise when 10 minutes later, I found relief! The same thing happened the next day. That’s when my husband and I realized we needed to get much closer to these oils. We purchased a 10-oil kit (which basically has everything to support a healthy, natural lifestyle) and started sharing. We have been using the oils ever sense. I feel healthier than ever. My life has been changed and we love nothing more than sharing the oils…and my story! We have made it our mission to share these oils with anyone –and everyone- who we meet! It is our belief that we do not sell oils..we provide solutions! 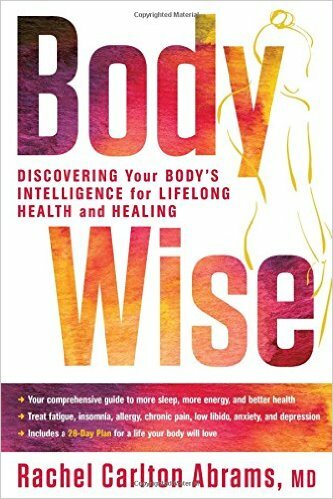 Rachel Carlton Abrams, MD will join host Janeane Bernstein in early 2017 to talk about her book "BODYWISE."